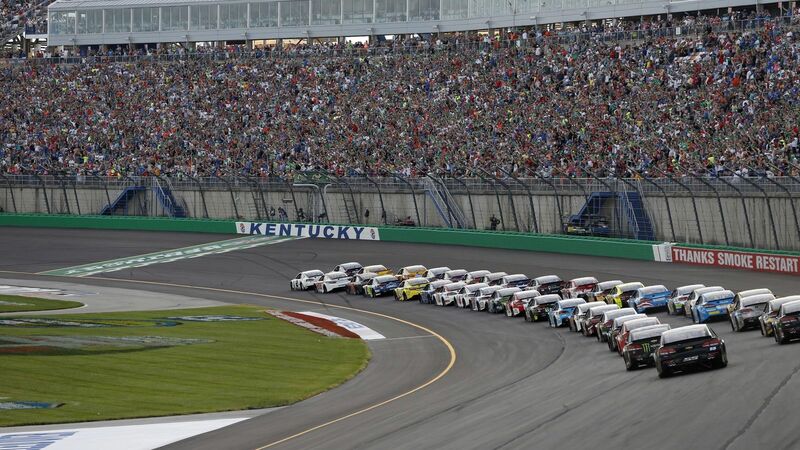 The Monster Energy NASCAR Cup Series, XFINITY Series and Gander Outdoors Truck Series will return to the Bluegrass State's 1.5-mile tri-oval July 11-13, 2019. Fans are able to purchase July weekend tickets and camping or individual race tickets now by calling (859) 578-2300 or visiting the Kentucky Speedway ticket office at 1 Speedway Drive, Sparta, Ky., 41086 just off Interstate 71 Exit 57 and Ky. Hwy. 35 North. Ticket office hours are 9 a.m. to 5 p.m. Monday through Friday.